Presenting a Burbank Limousine Service experience to memorize! Do you wish to make your party memorable by giving your guests a truly exceptional experience? We actually offer some of the most affordable and best rates for corporate auto service, stretch limousines, and BURBANK party transport rentals for any event in Burbank. We promise excellent and on-time conveyance of the Limousine Service required. Burbank Limousine service is located 3809 W. Burbank Blvd.,Burbank, CA 91505. Call Us at (818) 940-0010 to make your reservation today. Our Limo Services in Burbank CA are available, 24x7. Over the past few years, we have seen a thrust in the hiring of lavish cars such as limousine, not only for entering at traditional occasions, but also for some professional use. We have priced our packages reasonably by keeping your needs in mind and these packages are indeed incomparable with any other Burbank Limousine Service provider. Therefore, you don't need to look at the meter while partying. All we want is just you to sit back, rest and enjoy the ecstasy and thrill of partying. We are here to serve all kinds of transportation needs. Visualize the picture of your entry in that special event. Our attendants will be available all the time to cater to all your needs. Whether you are planning to arrange a prom, wine tour, bachelor or bachelorette party, or else a night on the town, you will be treated like royalty! Our wide-ranging fleet collection will gratify even the most part of your tour. Choose the vehicle according to your needs or let our customer executives handle this selection process. You will receive the optimum limo service in the end. If you wish to make a grand entry in the event; then we will recommend you to select 20-passenger carriers. You can see brand new Escalade Limousine and Stretch Hummer Limousine inside our fleet. 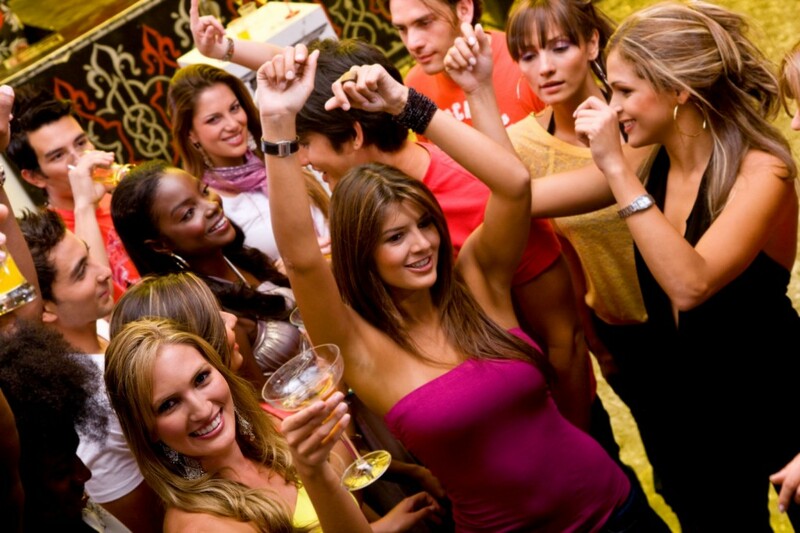 You can also select 32-passengers party bus. Our elite Party Bus Burbank will add the fragrance of style to your event. Several limo providers tend to scratch their head when you ask about their availability to cover numerous pick up locations. Multiple locations to pick up you and your guests can never be an issue for us. We will gladly greet you on the location where you want us to stand with you. We have maintained a high-level customer satisfaction since the beginning time and we aim at persisting this level. We believe that special occasions and airport transportation deserve the best treatment. Whether it is hiring a caterer or a limo provider; you must receive the best service to enhance the beauty of every single moment. Right from the high-class exterior to the restful and large interior, everything regarding our impressive vehicles shout lavishness and comfort. As a result, arriving at an occasion through some stylish piece of vehicle will straight away let you announce a luxurious entry and this quality alone has appreciably invested in its fame. Our self-discipline to attempt for excellence is a major element of our business. Through our limo services, you can experience the availability of luxurious approach of transportation at lucrative rates. Call us today at (818) 940-0010 to schedule your next ride with us! Irrespective of your transportation needs, you have arrived at the right place if you desire to travel in style. Whether you have to travel to the airport from your home or get dropped off for a cruise vacation, get your wedding guests transported from one location to another or just have a fun gathering with your family members of friends, we at Burbank Limo Service are here to help you. We are more than committed to provide first-rate limo rental services and cater and make every possible effort to ensure that you are taken care of during your travel. Burbank Limo rental service provides you with the latest and the most elegant fleet of models that can accommodate anywhere between two and 30 passengers. Ranging from SUV limousines to Stretch limousines, variety of luxury sedans to party buses, we offer every type of vehicle to suit your needs irrespective of your group size. We also offer great discounts from time to time, comfortable rides, convenient pickup and drop, reliable chauffeurs who value time, and much more. Whether you are planning a wedding party or a birthday party, a prom night or a graduation party, a wine tour or an airport transfer, Burbank Limo rental services has the right vehicle to suit your diverse needs along with seasonal discounts to ensure that you can travel in style without burning a hole in your pocket. Our Burbank Limo services are second to none as we offer value and quality and settle for nothing less than the best when it comes to meeting your expectations. All our sedans and SUV s are equipped with free WI-Fi so that you can stay connected all the time. We allow pets on board and provide free child safety seats for your kids. We also help you with all your luggage formalities and offer rides right from inside or outside the terminal, whichever is convenient for you. Whether you are visiting Burbank for business or leisure, we have the right vehicle for you. We are committed to provide you the best service in the industry and always make it a point to keep your comfort and safety as our first priority. Our customer-service representatives are available to answer your call at any time of the day and resolve your queries and concerns on a priority basis. Call Us now at (818) 940-0010 to make your reservation today.